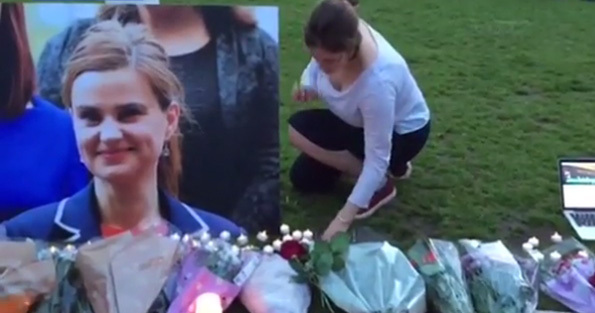 Thomas Mair killed Jo Cox in what her husband Brendan described as “an incompetent and self-defeating act of terrorism” and the Judge, Mr Justice Wilkie, said was “carried out to advance a political cause of violent white supremacism, associated with Nazism”. But The Sun and The Mirror want you to believe it was because his mother married a black man, and the Daily Mail would rather blame the phantom threat of immigrants taking his home. There is no evidence that Mair’s family history contributed to his crime. There is no evidence that his landlord – the local council – wanted to evict him. In fact, under the terms of his tenancy, it seems this was impossible. It seems all three periodicals have become apologists for terrorism. The Mail‘s dubious stance was compounded by the fact that it buried its report of the court’s verdict on page 30 of that day’s edition of the paper – an act that drew justified attention from LBC radio’s James O’Brien. Speaking on his show, he said: “The Daily Mail has chosen to put the murder by a neo-Nazi of a serving British MP – and by her own husband’s account, a mother who put her children ahead of anything career-wise – on page 30. “I don’t really understand why. Unless a murder by a neo-Nazi is less offensive to the sensibilities of the editor of this newspaper than a murder by a radical Islamist. “Surely any fully-functioning moral compass would be equally disgusted by both. “For people to use terror and death to pursue a political or an ideological goal in a civilised, peaceful society, it doesn’t matter what colour the killer is, does it? “Or what religion they are? Or what ludicrous, violent ideology they are trying to pump. The point is it is violent. It’s ideological. White supremacy, radical Islam, they are both equally vile, equally repugnant. The Public Order Act 1986 is still in effect, is it not? The articles discussed above were certainly likely to stir up racial hatred because of their abusive or insulting attitude towards people of colour and/or immigrants. So when will the owners, editors and writers of these pieces be prosecuted? Mair was a Nazi thug and evil killer. It’s as simple as that. Trying to shift the blame to his victim, who was a good and courageous woman is absolute vile nonsense. The Daily Mail has, since the 1930s, supported Nazis. It is a vile rag, as is Murdoch’s Sun. There almost certainly is no understandable reason why Mair did what he did as I stated in another post on another thread which is why the media, grasping at straws in the same way you are, Mike, all have different ideas and theories in respect to the causes driving Mair’s actions. There may be none. There probably is no rational explanation other than Mair, another loner and loser by all accounts, committed this atrocious crime other than someone like Jo Cox was locally accessible and David Cameron was not. More than likely murdering anyone Mair thought was pro-EU and anti-racist would have done and Jo Cox was the easiest target. Does anybody really understand why Anders Breivik, another loner and loser, purposefully murdered hosts of unarmed and completely innocent boy and girls in Norway, who didn’t own political power or have any influence over events? Does anybody understand how British Mohammed “Jihadi John” Emwazi, another loner and loser, could have degenerated to the point where he was capable of murdering helpless and worthy people in the most awful manner? The sane, human and humane cannot fathom the mad, inhuman and inhumane. It is pointless trying to get inside the head of people whose actions have rendered them irredeemable. Since when have the tabloids ever taken the truth into account. Readers are not stupid, but their gullibility entrenched when fed this diet of lies.